Priced and made to your required grille dimensions. 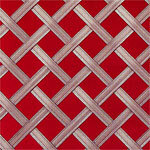 Various combinations of aperture size, material and wire mesh can be chosen. These grilles are also available Antiqued or with Bronze, Nickel or Chrome plating (at extra expense). (Image picture against red background. Delivered in 1 to 2 weeks. 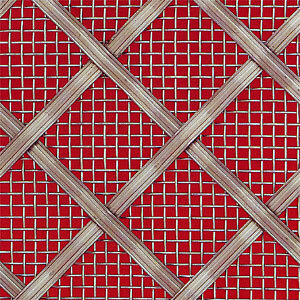 Pricing and Ordering is available by use of our Online Quotation Calculator where you can experiment with options and create a beautiful handmade decorative grille to suit your style and budget with the option to purchase online. 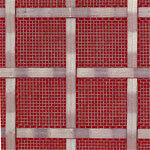 Interwoven Diamond Stainless Steel Grille, 5mm Wide Reeded Stainless Steel, 25mm Diamond, Large Mesh Backing. Interwoven Diamond Stainless Steel Grille, 5mm Wide Reeded Stainless Steel, 10mm Diamond, No Mesh Backing. 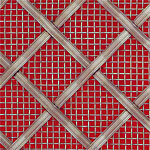 Interwoven Square Stainless Steel Grille, 5mm Wide Plain Stainless Steel, 25mm Square, Fine Mesh Backing. Delivered in 2 to 3 weeks. Antiqued, Bronze, Nickel and Chrome plating are finishes applied to natural brass at extra expense. To view more pictures of the plating and treatment finishes available, please visit the lower part of our Regency Brass page. 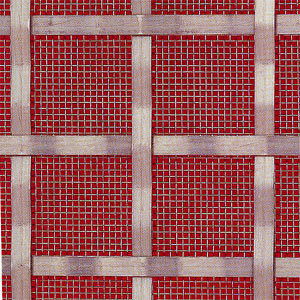 This is by far our most expensive range of hand made grilles due to the quality of materials and the labour involved in manufacture. The biggest factor that affects pricing for this product is aperture size. The smaller the aperture, the more material and labour is involved in manufacture. Prices can therefore vary considerably upon this choice. The second biggest factor that affects pricing for this product is adding a plating or treatment finish to the brass. This will also increase delivery timescales. 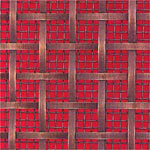 The reeded design of woven metal is more expensive than plain. 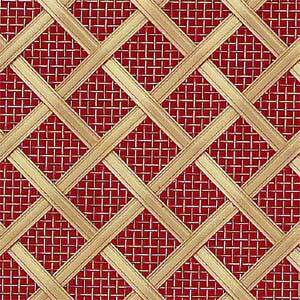 Finishes other than natural brass and stainless steel are additional treatments applied to brass. This increases price and delivery time. You may also choose contrasts of the above finishes. 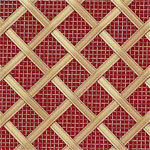 Our Interwoven grilles are clear lacquered to maintain their appearance and resist any possible tarnishing. 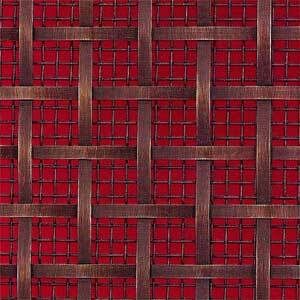 Our Interwoven backing meshes are clear lacquered to maintain their appearance and resist any possible tarnishing. For competitive prices on this product please Click Here.